Denim on Denim, again and again. 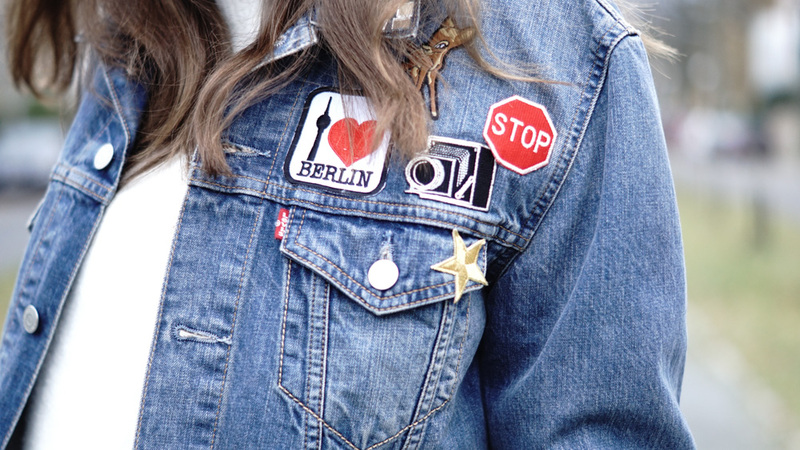 I simply love this combination, that’s why I created another double denim outfit for you! As you probably can see it wasn’t very warm in Berlin, so I wore three (!!) shirt underneath my sweater to survive the cold temperatures x) As you know, I didn’t buy a winter jacket this year, because I didn’t want to invest in such an item before I’m going to Australia. But fortunately this Levi’s Trucker Jacket is oversized, so it’s the perfect layering piece. I didn’t want to look too bulky, that’s why I combined this look with skinny jeans. This customized denim jacket is my favourite denim jacket and I’ll bring it with me to Australia – even when it’s summer there 🙂 But I’m sure it’s the perfect travel companion, it’s not only super comfortable, it’s robust as well. Maybe I’ll find some nice patches in Australia to add. 😉 I want this customized jacket to become a piece with a story. What do you think about this plan? Bitte, bitte, wann kommt endlich Australien?? ?